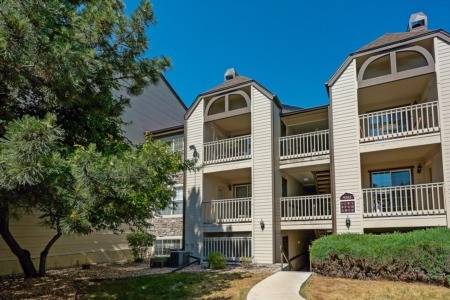 Grant Ranch is just 13 miles from downtown Denver and has access to the light rail system. This community is centered around Bowles Lake which provides ample opportunity for fishing and boating. In addition to the lake, residents have access to a park, walking paths, a pool, hot tubs and tennis courts. There is even a Village clubhouse that can be rented to host special events. Homes consist of single family residences in a variety of sizes and styles. This community was developed on land once owned by James Grant, the third governor of Colorado. Grant Ranch is considered one of the premier communities from the southwest Denver and Littleton. With homes first being built in this location as recently as the late 90's and living arrangements varying from condos to town homes or even single family homes, Grant Ranch is a wonderful place to enjoy outdoor living including a spectacular view of a community lake that most homes overlook. Grant Ranch homes has almost 500 acres of land to explore and over 350 species of wild flora and fauna to observe from the endless well-maintained common areas throughout the community. There are over twenty self contained family villages in Grant Ranch, all of which offer their own flavor and style in living. Grant Ranch offers a wide variety of housing including town homes, luxury condominiums, single-family homes of all sizes and breathtakingly large custom homes. Grant Ranch also features the Raccoon Creek Golf Course that runs along its southern border, providing another convenient recreational option as well as an attractive open-space buffer from nearby shopping, restaurants and convenience stores. At the heart of this community is the village center, featuring a full-size swimming pool, kiddie pool, tennis courts, boating docks, conference and community center and a 6,000 square foot clubhouse. Between the parks, open space and village center, there's plenty of room for softball, soccer, volley ball, picnics and dog parks. Add together the miles of hiking trails, with the abundance of quality schools and amazing views of the Rocky Mountains, Grant Ranch is a desirable place to live with something for everyone.